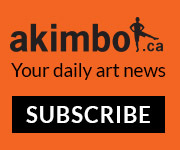 As a non-profit arts organization, Border Crossings’ mandate is to provide a forum for artists and a vital record of contemporary art and culture for readers. 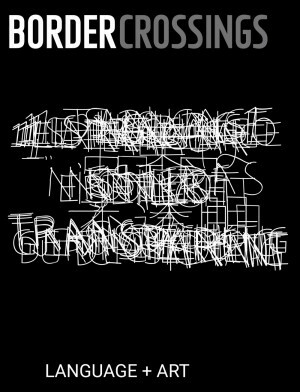 Through the generous support and sponsorship of corporations, foundations and individuals, Border Crossings will continue to publish a magazine considered to have no parallel. Border Crossings is a non-profit arts organization with charitable tax status and is published by a community-based Board of Directors. As such, it depends in part on benefactors and the philanthropy of its friends and supporters, as well as donations it receives each year in response to its Holiday Campaign. In Canada, we welcome your support in various ways. All donations are tax-receiptable, and upon donation, your receipt will be mailed to you within four weeks. If you are in the United States or another country and want to support this valuable educational and cultural endeavour, please contact the magazine office at 1-866-825-7165. To inquire further about a charitable donation to Border Crossings, please contact our office. To inquire further, contact our office toll-free at 1-866-825-7165.